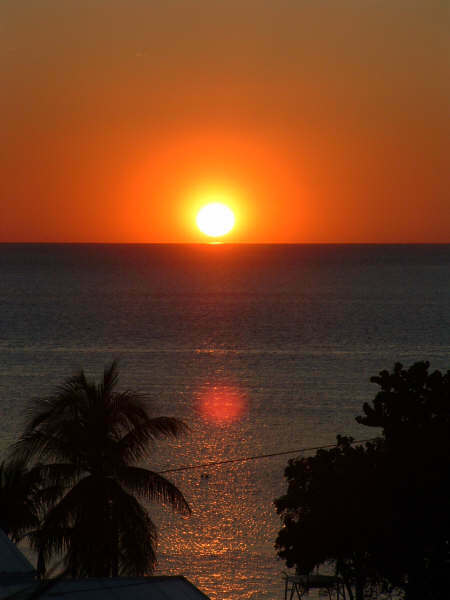 The Florida Keys, where formal attire means wearing socks with your Birkenstocks, where addresses are described with mile marker numbers, and where sunsets are celebrated every evening with a glass of wine or a locally brewed beer. When Jimmy Buffet sang the phrase "Changes in latitude, changes in attitude", he wasn't kidding! We discovered that when we moved here. No one is in a hurry. People are more relaxed. People smile more. And why wouldn't they smile? Life is good in the Florida Keys where the only thing people worry about is whether or not the boating conditions are good that day. There is a plumbing company here called Windy Day Plumbing. Not sure if the story is true or not but I have been told that the reason they named their business Windy Day Plumbing originally was because they only did plumbing on windy days when they couldn't take their boats out. Makes sense to me! And for those of you who think they don't want to live here because you like the change of seasons, be assured that we do have seasons here in the islands. We have hurricane season and we have tourist season.